Wow, I really was absent for a while there. Yesterday, we spent the entire day (and night!!) at Sophie's again for Gracie's 2nd birthday party celebration. There were good eats, good drinks, and lots of laughs. Man, when those guys throw a party they go ALL OUT! It was so fun to be able to stay up late playing Rock Band while the kids slept on the couch...and later in the camper. That was how Gracie's 1st birthday party went pretty much, only this time Dash got to join us! So that was a mega plus. :) All in all, an epic way to end the week. And then today we had a pleasant surprise from Kathy-neechan! 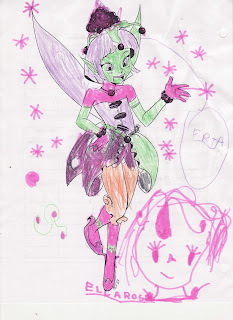 See, while she was visiting us the other week, Ella Rose introduced her to the Disney Fairies. 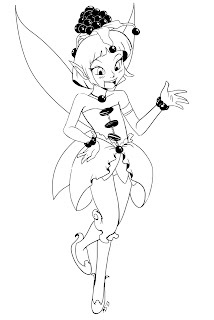 Kathy-neechan was completely impressed with the world of the fairies in Pixie Hollow and whatnot, so she and Ella Rose will be sharing that link while she is far away in her home back in San Jose. She has a blackberry hat, sunflower seed buttons, and an apple blossom skirt. I gotta say, I'm impressed with how she used the different colors to create even more clothes than the original line drawing suggested (like the shoulder throw and gloves~), and can you make out what she's saying? That little dialogue bubble is supposed to be declaring her "talent" which is...of all things..."farts". Or as Ella Rose wrote it "AFRT". 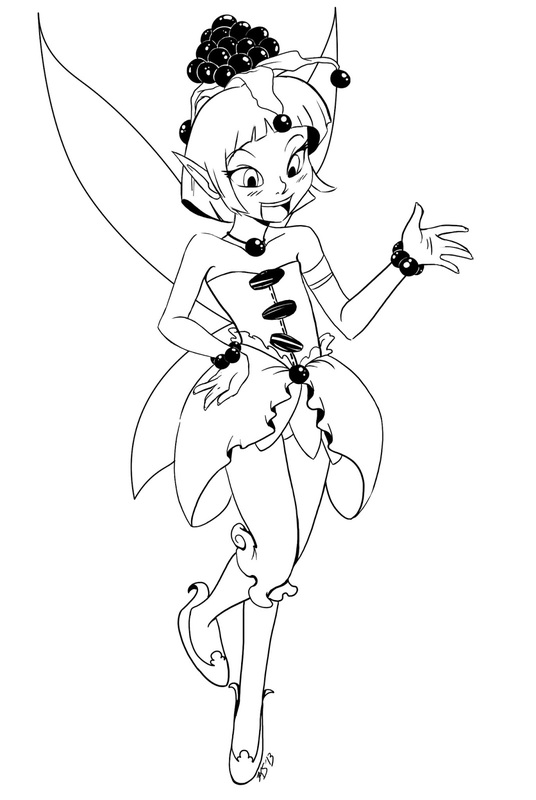 So yeah, I look forward to their little fairy connection growing and encouraging even more creativity from both sides. Crazy to think we'll be seeing her in less than a week now! Yaaay!!! Until then, take care every one and Happy Fun & Fairies!! Twas a pleasure! 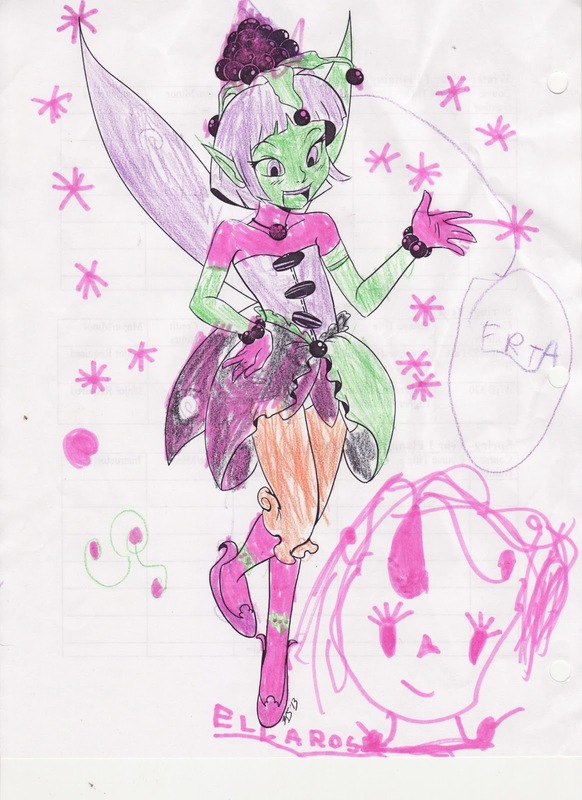 We love you guys and I love that farting fairy! Awesome.